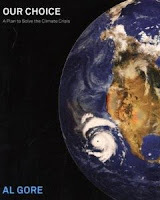 There are many excellent books about the new green economy and climate change. I have read or am reading a fraction of those and there are many more books on my list. Here are some recommendations from my collection. It is just a start but hopefully it will peak your curiosity to start exploring the wealth of information on this timely subject. Click on the book title for the Amazon link to purchase a copy. The former vice president has been sounding the alarm for decades about our destructive habits and how we are contributing to climate change. While "An Inconvenient Truth" presented the daunting problems we face, "Our Choice" provides a blueprint on how we can start to solve the climate crisis before it's too late. A must read. The inside story from the front lines of the climate change debate that has been raging from the 1970s and continues to this day. 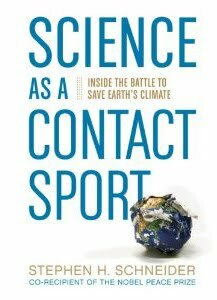 The book provides important lessons about confronting climate change deniers and skeptics with scientific evidence. Schneider was the recipient of the 2007 collective Nobel Peace Prize. If we are going to have more compassion for the natural world and transition from our destructive habits to harmonizing with the environment, then we must first open our hearts to the "nobility and sanctity of the human spirit." Buddhist psychology offers a guide to that enlightened path. We've known for years how destructive the Western diet is to the planet and our personal health. And yet McDonald's serves billions while establishments that sell local organic food can barely stay in business. We need a "real food" movement and Michael Pollan is the man to lead it. 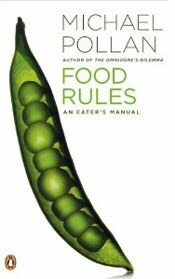 "Food Rules" is all about simplicity. It's about getting away from the food engineers and overly-processed "edible food-like substances." Personally I have started to become more of a vegetarian partly as a result of reading this book. 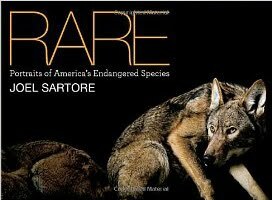 When we think of endangered species our mind usually drifts to exotic places like Asia and Africa. But literally right in our backyard here in North America there are animal species that are close to be driven off the earth forever by our destructive habits. These haunting images are a strong visual reminder about the responsibility we have to protect the environment so these species can flourish again.